I’ve been putting off writing this one because I thought I already had. Unlike the method in Part 5, I actually like this one a lot and have found it quite useful. For patterns that have a lot of O3s combined with U3s—particularly those with the U3/O3, O3/U3 star motif—this is a great warping configuration. 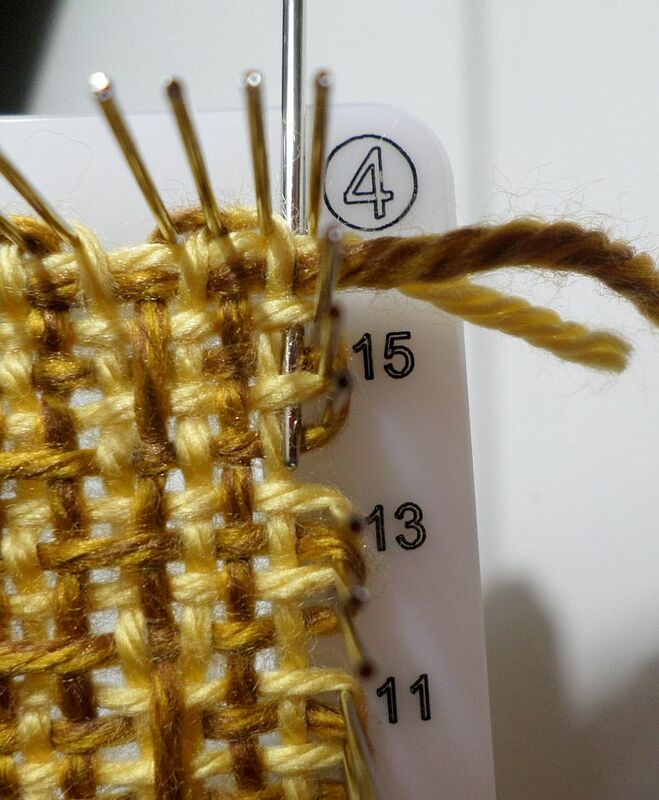 (You can also use L1/2-4 for such patterns, but L1&2/3&4 will usually look better). 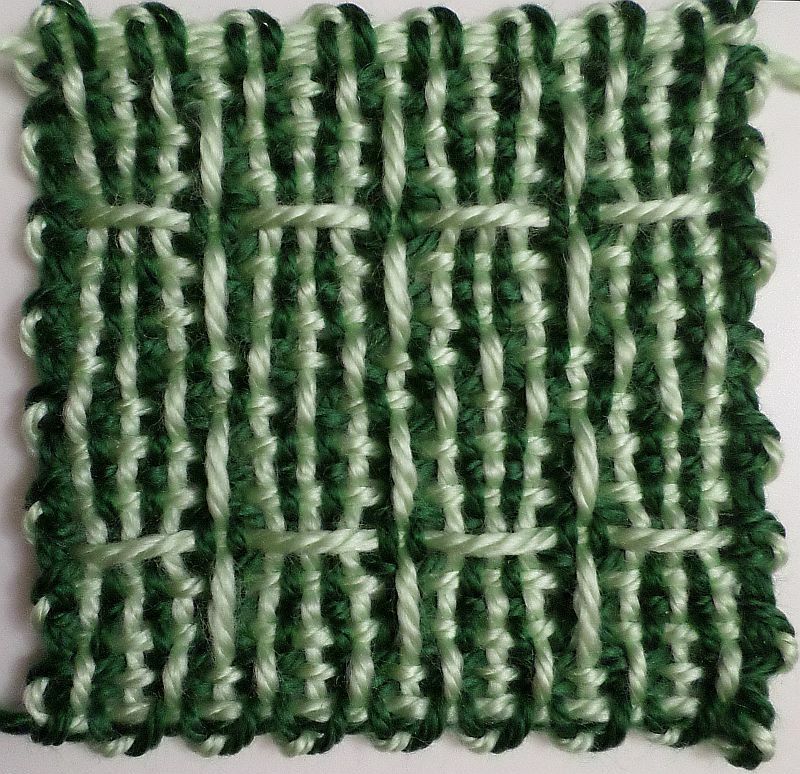 I plan to post several new patterns soon that will show examples using this warping method (see Lattice Borders and variations for examples). L1&2/3&4 has two workable methods. 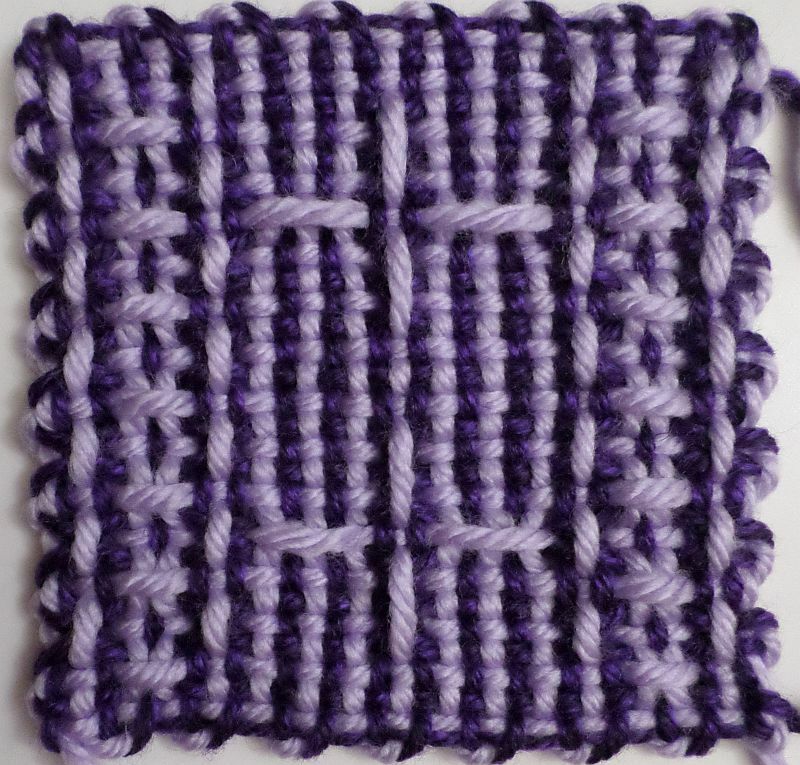 At first I thought it best to do the more complicated version (green square below), but since there were still three ends to work in—and nowhere decent for the third one—I started using a simpler, tidier method (purple square above). Star Blocks 3—this is the more complicated method. 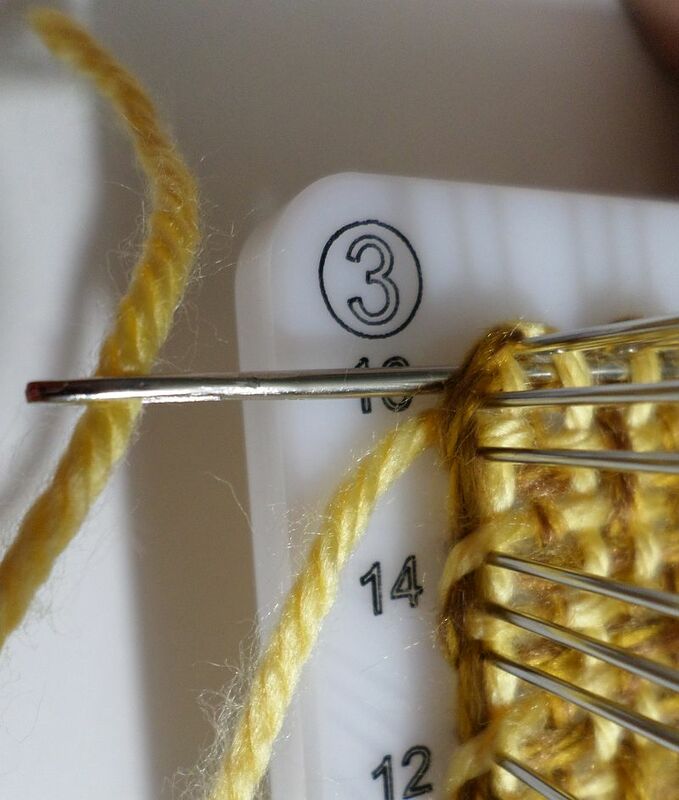 You work in two ends as you go, but you still have three ends to deal with later on. Unfortunately, with either method, there are three ends to work in. In the method demonstrated below you’ll be working in only the beginning end of L3 as you go. Tie off L2 on the Cr4 furthest pin so you won’t have to worry about moving this RSK. Tie L3 onto the 1-2 side near Cr1. Warp L3, replace L1 RSK. 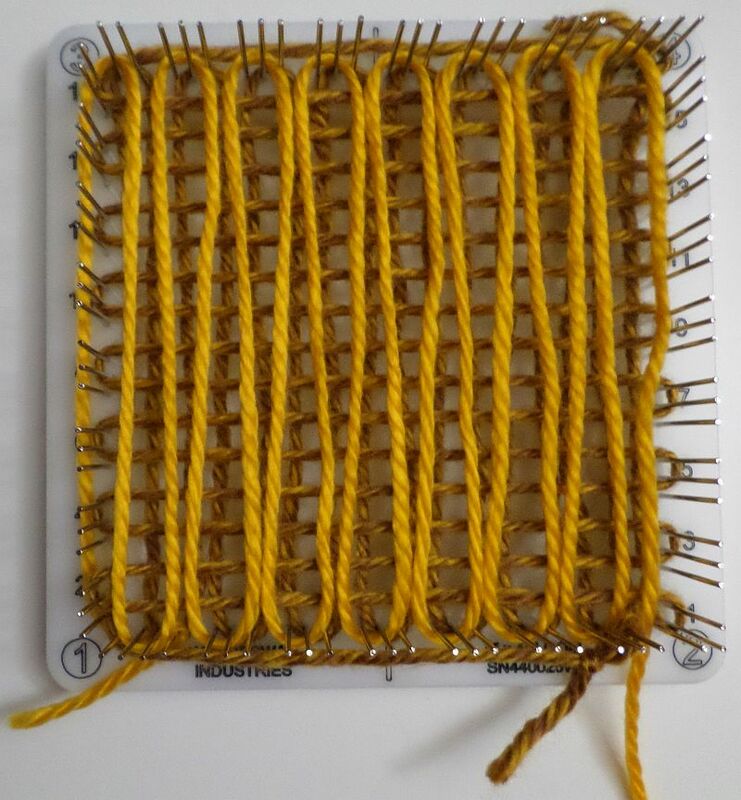 Measure weft (because I”m working in L4’s end tail, I only measure 4 3/4 times around the pins; usually I use 5), and you’re ready to weave. It’s OK that the L3 RSK is trapped under the warps. You only need access to the L1 beginning tail and the L2 end tail. 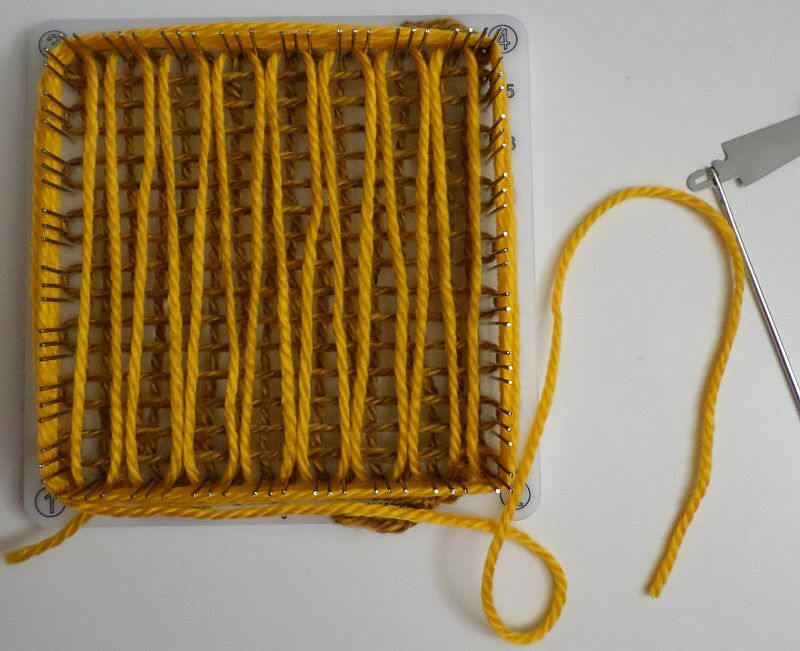 Begin weaving. 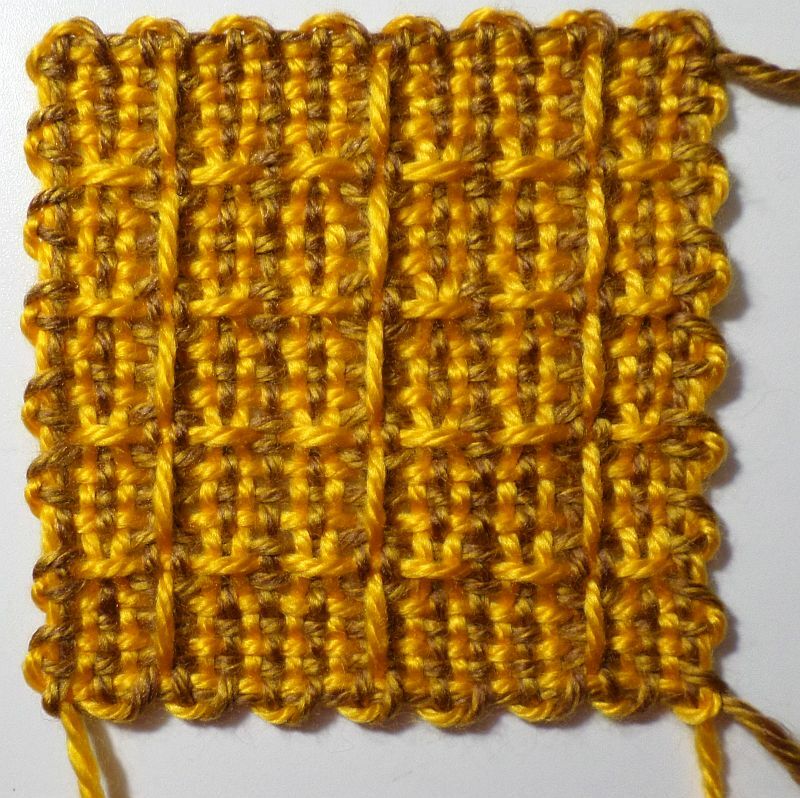 There’s no tricky corner to deal with at the beginning, so just relax and weave as usual. However, at the end of R1, I usually go under the last warp and the L3 tail, but I think it doesn’t really matter about the tail. 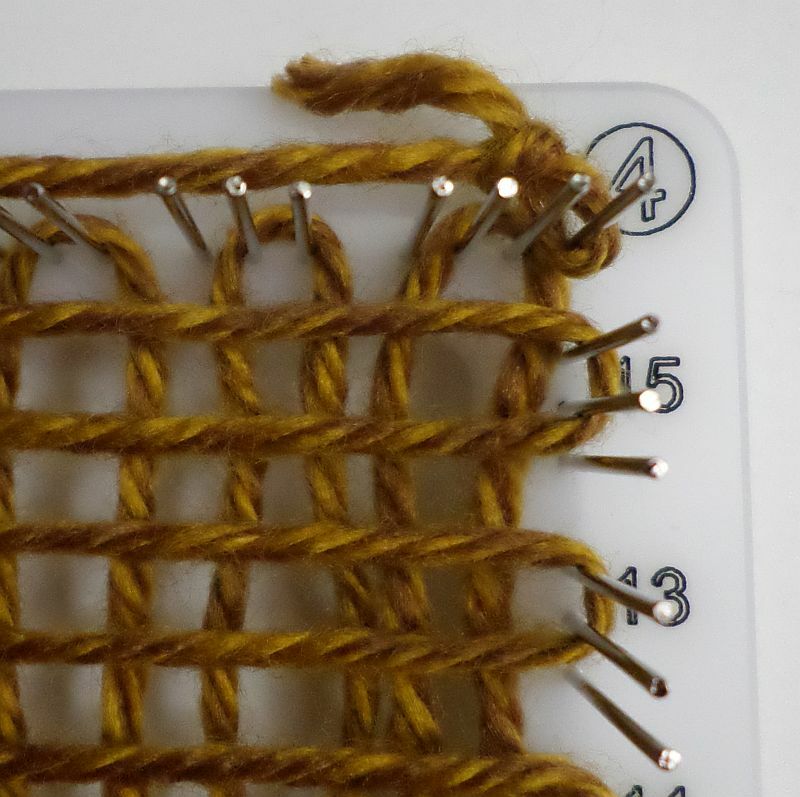 Weave R1 and several more rows before working in L1 beginning tail. 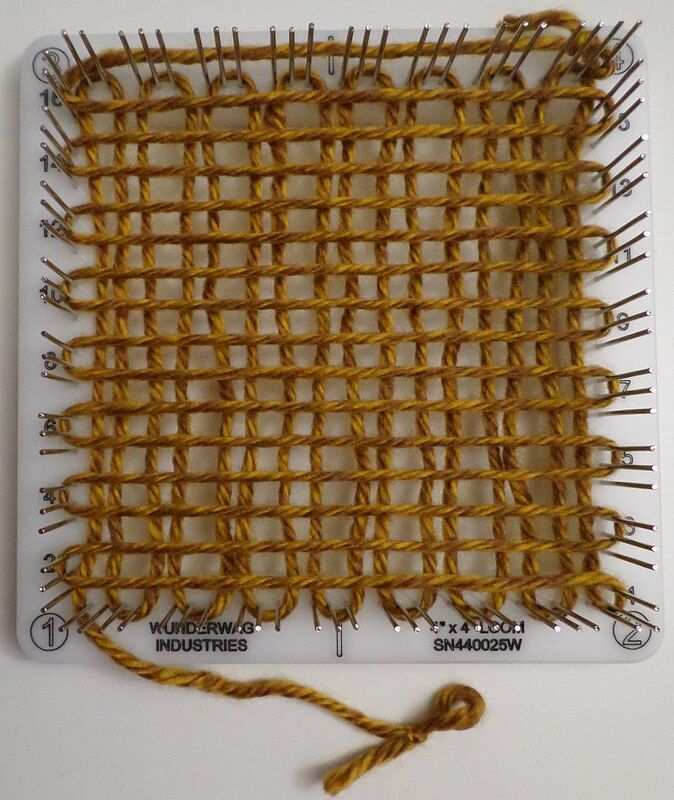 However, it’s also fine to wait to work it in till after the weaving is finished. 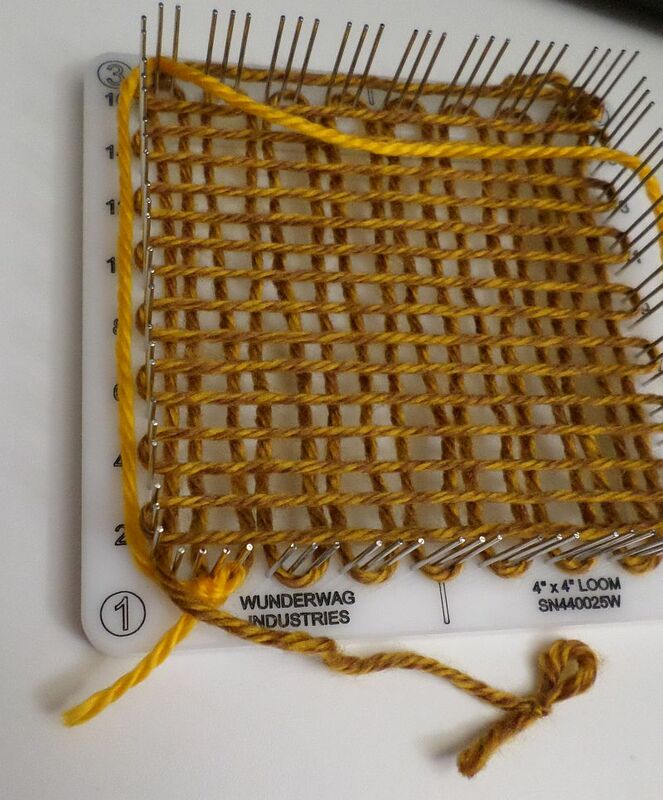 Weave L1 tail in going under first three warps (the tail is the first of the three warps), then following path of R1 below the L4 R1—this keeps the “wrong” color at the bottom of the weaving. These next instructions address R16 (or the last row) and working in the L2 and L4 ends. 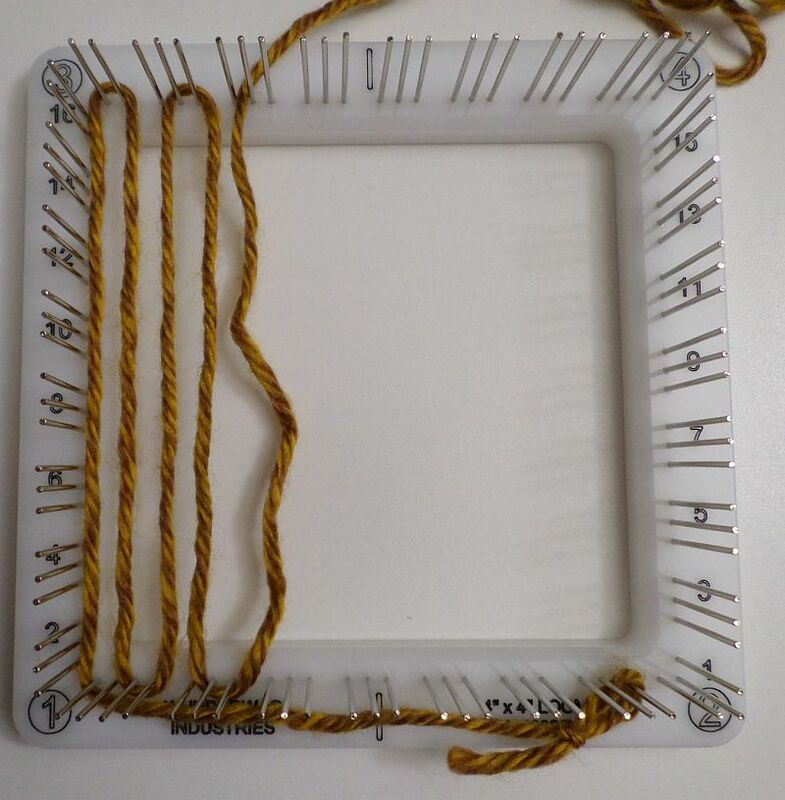 At Cr3, untie L2 end; bring it around to the 1-3 side (at Cr3). Leave it there while you weave R16. 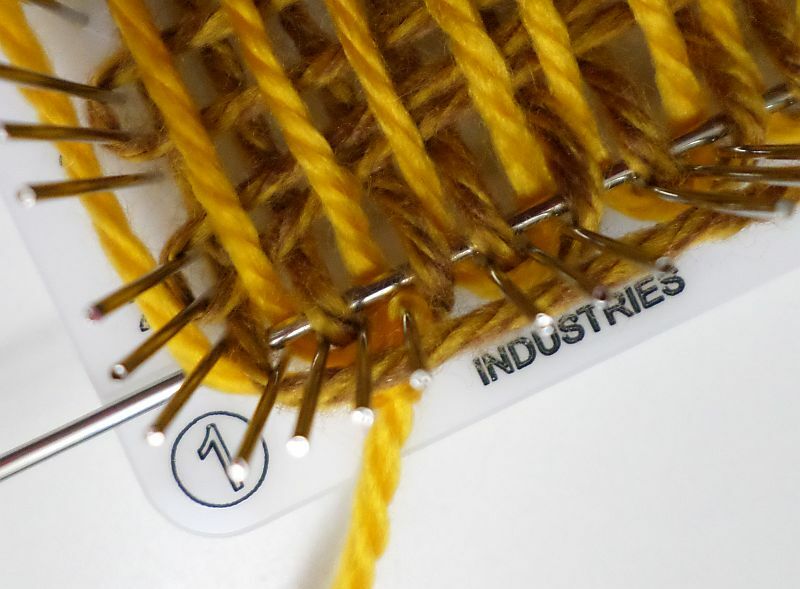 After R16, to weave in the L2 end, go under the clump of yarn loops and the first warp. 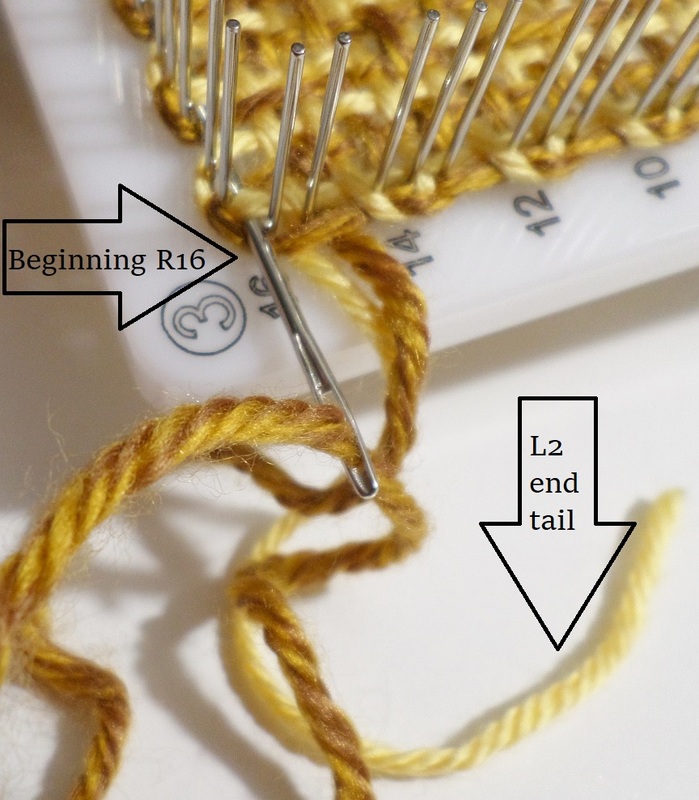 Follow path of R16 keeping L2 color above R16 (keeps “wrong” color at top of weaving). Work in the L4 end from Cr4 down to Cr2. 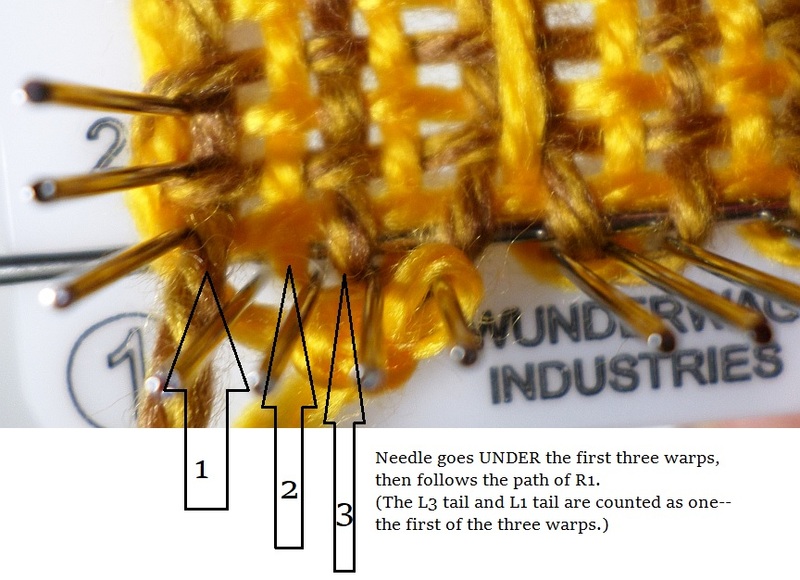 Begin going under last two wefts (R16 tail and L2 tail count as one), then follow path of warp #31. 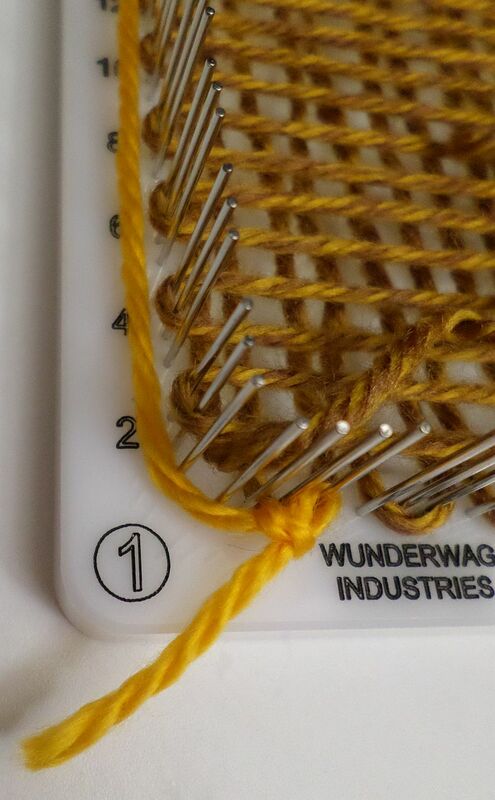 Keep “wrong” color on the outside of weft 31.